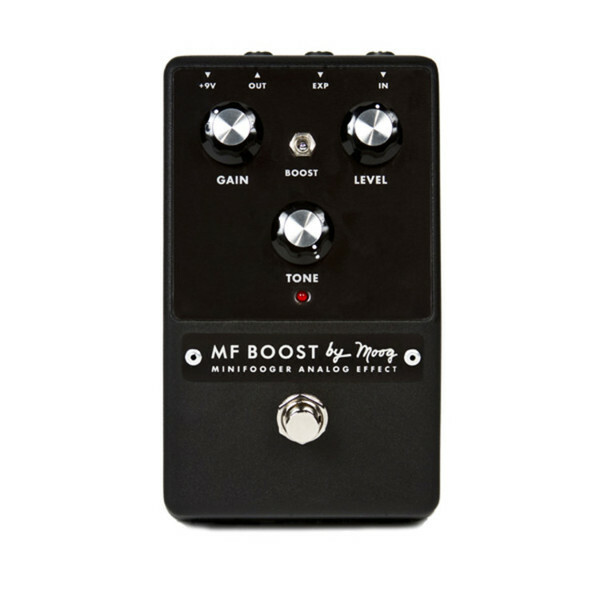 Compact, easy to use and specially designed for guitar and bass, the MF Boost is a powerful, affordable effects pedal from Moog. 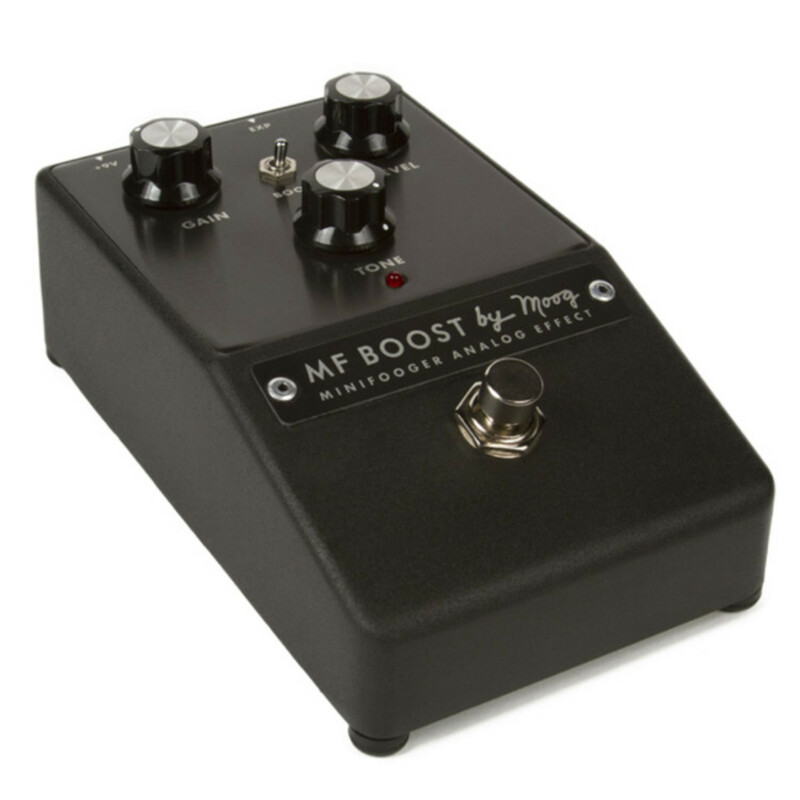 MF Boost is an enhanced, twin topology boot pedal that allows you to select between an articulate VCA signal path and a coloured OTA signal path. The completely unique boost design works with your guitar and amp to conjure boutique sound and responsiveness from any guitar/amplifier combo. Natural compression and sound enhancement brings out the best tone and performance in your other effects pedals, too. 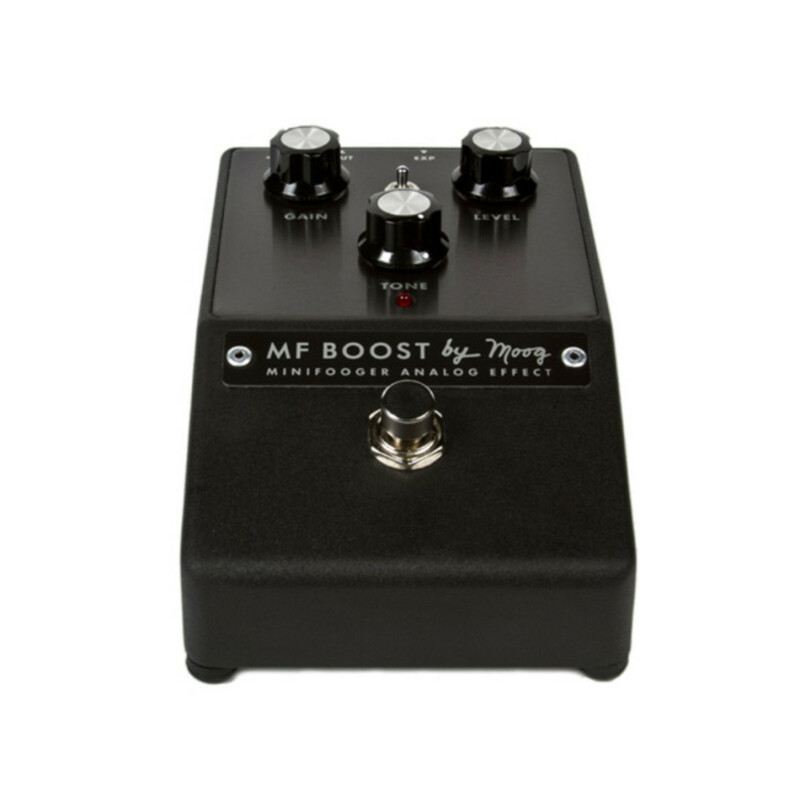 The MF Boost can be used as a tone-enhancing volume pedal or sweepable gain boost. 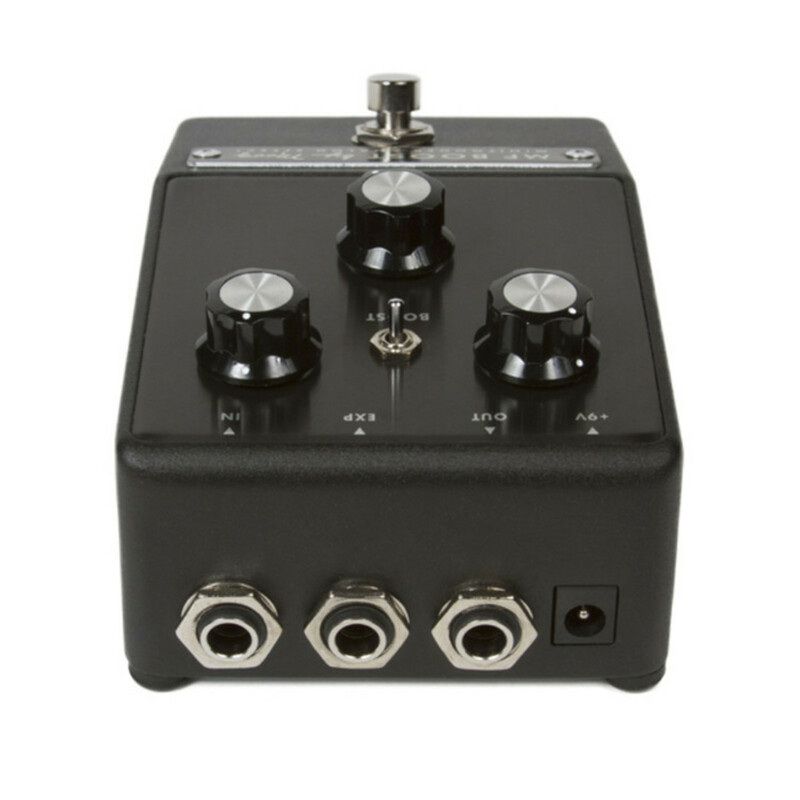 Each Minifooger stomp box is housed in a rugged cast aluminium enclosure, featuring an 100 analog signal path. The true bypass design pedal is hand-assembled in Moog's factory in North Carolina and features optional battery power and a single expression pedal input that can also be controlled via CV. For futher information about the Minifooger Analog Boost pedal, please download the product manual PDF from the link below.